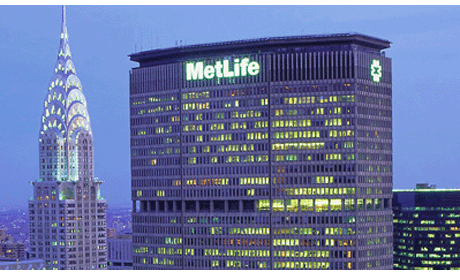 One obstacle which the officers of the Metropolitan Life Insurance Company had to overcome was the fierce competition of the older companies in the field. These could afford to pay higher commissions because their greater assets and surplus gave them a more solid financial position. The Metropolitan was unable to compete in commissions with these better established companies without seriously impairing its assets. This situation was accentuated by the growing depression throughout the country. As a result, the company?s business began to drop sharply in 1874, and continued downward for five years until 1879. In this short period, the number of policies issued annually declined from 8,280 to 510. The insurance in force decreased rapidly from $27,300,000 in 1874 to less than $12,000,000 in 1879. The company, to any outsider, would have seemed to be on the way to dissolution. But even in these darkest hours the officers retained their vigor and faith. They were no mere summer soldiers. They had shown their confidence in the ultimate success of the organization by obtaining a leasehold and moving into the spacious building at Park Place and Church Street in 1876. They were confident that the company would soon return to the highroad of success. It was the ever resourceful Mr. Knapp who pointed the way. He proposed opening a new and immense field of operationlife insurance for wage earners and their families?where the Metropolitan would not be compelled to compete at a disadvantage with other companies. In 1879 the company entered the field of industrial insurance. Thus began the establishment of the close ties it has always maintained with the working people of this country, a relation which has determined the distinctive character of the organization and its services. By entering this vastly enlarged theater of operations, the company was to influence the entire course of the business in this country. The year 1879 is indeed historic for American life insurance. The decision to write industrial insurance was by no means a sudden inspiration, but a carefully planned move. Both Mr. Knapp and Mr. Hegeman were keen students of the business, and for a decade they had been following the discussions on the need for industrial insurance in this country in The Insurance Monitor, the Spectator, and especially in The Insurance Times under the distinguished editorship of Stephen English. This branch had already achieved signal success in England, where the Prudential of London was carrying on a considerable industrial business and had home owner insurance on the brain as well. Meanwhile American insurance officials had been warmly debating the pros and cons of Weekly Premium business. In fact, by 1879, the Company already had had a decade of experience with life insurance on the lives of working people, sold on the basis of weekly premiums. It will be recalled that in 1869, almost before the ink on the new charter was dry, the Metropolitan underwrote a type of insurance on working people who paid their premiums weekly, and found this business both feasible and profitable. If the company only foresaw the future of life insurance?online life insurance quotes and all! The most convincing argument for undertaking the new business was the success of the Prudential Assurance Company of London in popularizing industrial insurance among the wage earners in the cities of England. Both Mr. Knapp and Mr. Hegeman had watched this organization with avid interest. In the company's archives there is still an old scrapbook, big as an unabridged dictionary, labeled "Prudential of London," which contains booklets, pamphlets, correspondence, annual statements, newspapers, magazine and insurance paper clippings about the English organization. It shows the evidence of painstaking study by these Metropolitan officers. They commented on the various forms of policies. They studied the annual reports of the Prudential. On its quinquennial report for the period ending December 31, 1876, are notations in Mr. Hegeman?s handwriting, commenting on the vastness of the Prudential?s Industrial compared with its ordinary business. The premium income from industrial was 11 times that of ordinary. He noted the size of the average weekly Industrial premium, about 3 1/2 cents. "Very heavy loading," is his cryptic note on the figures giving the expense of the business. He underscored the stipulation that the full benefit was not to be paid if death occurred during the first year of insurance. He studied carefully the ratio of expense to income. The Metropolitan officers learned also that while the Prudential had achieved phenomenal prosperity, it had gone through difficult years before the initial surplus was built up.